In 'Quest for the Faceplant,' Donald's out to catch a monstrous man-eating plant for Uncle Scrooge-but will pirates get there first? Then Donald turns soap opera actor in 'As the Snail Trails'... and Goofy gets an online Valentine in 'Crimes of Passion'! 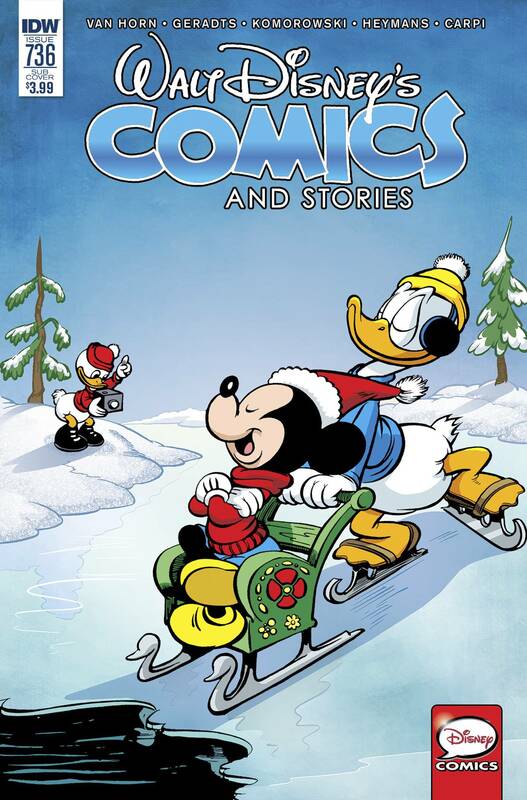 Fan favorites William Van Horn and Mau Heymans deliver wild new tales of Donald, Scrooge, and Daisy at their dizziest! Rediscover classic Golden Age Disney art by Walt Kelly (Pogo) on our Subscription Cover this month! Check out the Massimo Asaro winter fun variant cover!